The Syrian army and Lebanese movement Hezbollah took control over the strategically important Ras Al Shahout border crossing between their two countries, a source close to Hezbollah told Sputnik on Thursday amid an operation to defeat Daesh. "After the clashes with IS [Daesh] terrorists the Syrian army and Hezbollah fighters entered the area of Ras Al Shahout border crossing between Syria and Lebanon," the source said. 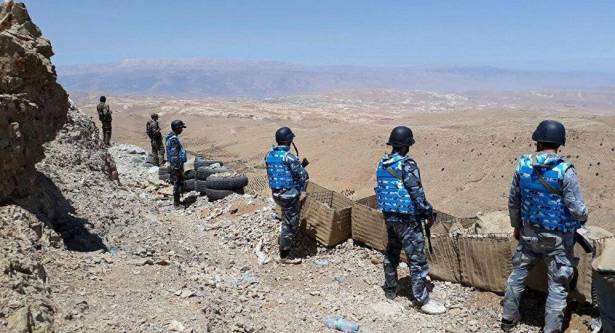 The source also pointed out that this border crossing, located between Syria's Qara and Lebanon's Aarsal, was strategically important, as it was the only supply route for Daesh militants in the area. On August 19, the Lebanese army launched an operation to defeat Daesh terrorists on its side of the border with Syria. At the same time, Hezbollah, along with Syrian army, is conducting operations against Daesh on the Syrian side of the border. On Wednesday, a Hezbollah source told Sputnik that the Syrian Air Force had carried out strikes on Daesh positions in the Syrian western region of Qalamoun bordering Lebanon.